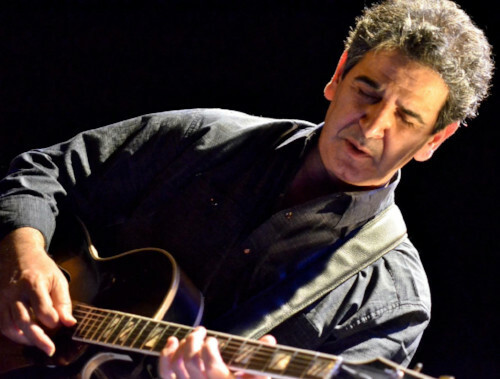 Jazz guitarist Roni Ben-Hur has earned a sterling reputation as a musician and educator, renowned for his golden tone, improvisational brilliance, compositional lyricism and ability to charm peers, students and listeners alike. Eminent jazz critic Gary Giddins wrote in the Village Voice: "A limber and inventive guitarist, Ben-Hur keeps the modernist flame alive and pure, with a low flame burning in every note... [He's] a guitarist who knows the changes and his own mind." Ben-Hur - born in Israel in 1962 but a longtime American citizen, now based in Harlem, New York - has released 11 albums as leader or co-leader, with Time Out New York calling him "a formidable and consummately lyrical guitarist." The Star-Ledger of New Jersey summed him up this way: "A deep musician, a storyteller, Ben-Hur works with a warm, glowing sound and has an alluring way of combining engaging notes with supple rhythm." Next Eric Alexander Quartet @ Jazz Forum!